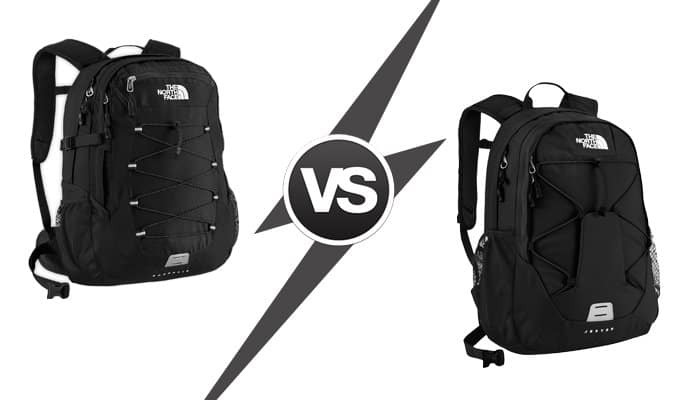 » The North Face Borealis vs Jester Backpacks – Which Should You Buy? The North Face Borealis vs Jester Backpacks – Which Should You Buy? Versatile backpack for school, work, travel, or as a daypack. It is great for shorter hikes or for commuting/travel. One of the most important pieces of gear for an outdoor enthusiast is their backpack, yet so often a backpack is quickly purchased without much though aside from “Does it look nice?” and “Will it hold all my stuff?”. The backpack you choose is not only responsible for carrying all your gear but is also something that is going to be strapped to you for hours a day. You really want to make sure that the bag you choose is going to be comfortable, easy to organize, as well as large enough to carry everything you need for your adventure. The first step in backpack shopping is choosing a brand you know you can trust, and one of the most well-known outdoor gear brands is The North Face (TNF). TNF is likely best known for their apparel lines, popular among everyone from urbanites keeping warm in winter to serious outdoor sportsmen needing something reliable and high-performing. It comes as no surprise that the backpacks they offer are incredibly well-made, with some models have hundreds of positive reviews backing them. Two of their best backpacks are the Borealis and the Jester. Though both models are pretty similar, there are a few significant differences between the two that make make one preferable over the other. Bottom Line Up Front: Personally, I would prefer the Borealis available here because it has more pouches and an extra 2 liters of space (nothing I hate more than cramped packs!). Otherwise, these two are quite similar. 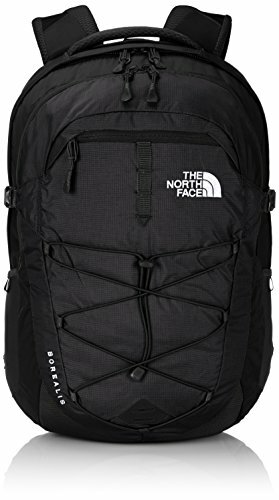 How is the Borealis Backpack Designed? TNF designed the Borealis to function as a versatile backpack that can either work for school, work, travel, or as a daypack for outdoor adventures. Despite it’s smaller 28 liter size the Borealis is made to be just tough as their more serious backpacking models. It was actually recently updated with a new suspension system that makes it even more comfortable to wear on daylong hikes and excursions. Like many daypacks the Borealis has one main compartment in which you’re going to store majority of your gear. For versatility it does have a laptop sleeve that will protect a 15″ laptop, though this benefit is more for those that will be using this for school, work or travel. That being said this padded sleeve can be used to store other delicate items or whatever else you may like to put in it. The front compartment also has a sleeve to store a tablet or other delicate electronic gadgets. The stretchy mesh side pockets can be used for gear or water bottles. Finally the front of the backpack has a classic bungee cord which allows you to help compress the bag as well as store other gear, such as a lightweight rain shell or a GPS. The Borealis comes in a one-size fits all size and is also available in a women’s model, which is made to fit more comfortably on the smaller anatomy of the average woman. 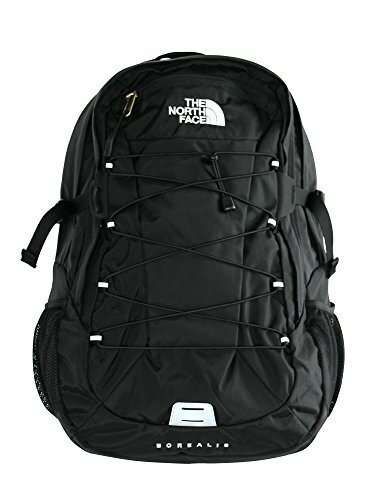 TNF sells the Borealis retails for about $89 as of this writing, but check here for the latest prices. 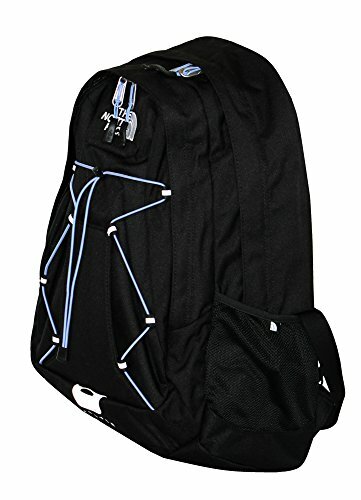 How is the Jester Backpack Designed? The Jester is very similar in terms of versatility and also was redesigned with a better suspension system, including a more comfortable, breathable back and shoulder straps. This 26 liter bag is just a little smaller than the Borealis but still manage to pack quite a lot of gear. It is great for shorter hikes or for commuting/travel. This one also has a padded laptop sleeve for up to a 15″ laptop. It also have a very nice internal panel in the front compartment to help you organization smaller gear. Just like the Borealis, the Jester also has bungee cords across the front which is always a very useful touch. The Jester is also available in only one size with an additional women’s model, just like the Borealis. TNF sells the Jester for about $65 as of this writing but check this listing for the latest live prices. 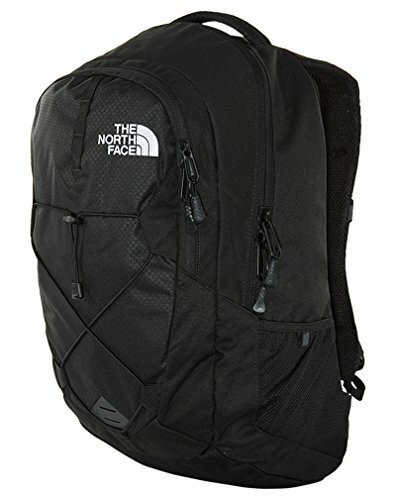 Which is the Better Backpack? Deciding on one of these backpacks will come down to what you plan on using it for or how much versatility you need. The Borealis has more features and the addition of a dedicated tablet sleeve would leave you thinking this would be a better choice for urban use or travel. However, it has the durability of an outdoor backpack and the waist belt would also make you think it would be ideal for daypack use on hikes or bike rides. The Case for the Jester: The Jester is only 2 liters smaller than the Borealis but has less features, which include no waist belt and few organizational compartments. It is more of a basic backpack but when it comes to materials it is super tough and durable. Since it is slightly smaller the Jester would be best as a small/medium backpack or daypack you can grab when you’re in a rush and when you may not be carrying a ton of gear. The Case for the Borealis: For the added features and 2 liters of space the $24 price increase for the Borealis might be worth it. That being said if you’re really on a budget then the Jester will still do an amazing job.